If you feel overwhelmed with other responsibilities or perhaps do not have someone in-house with the appropriate qualifications, you can always outsource custom CNC machining operations to a reputable company. Not only will this reduce your stress level and save both time and money, but you end up with a CNC precision part or component based on your specifications. 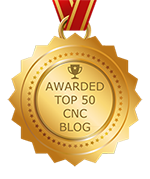 When it comes to custom machined parts, working with the right CNC machine, operating the correct computer program, selecting the right workpiece, and understanding what to watch out for during the machining process is imperative to your overall success. For a part or component that meets if not exceeds your expectations, you can rely on professional custom machining services. For one thing, a professional fabrication company has a full setup, meaning that instead of just one CNC machine, they have multiple. Also, the right company performs several actions by using different processes using a single CNC machine. Because of that, jobs can be expedited without ever compromising on the quality of the finished product. A reputable source has a team of experts consisting of designers, engineers, programmers, and so on, who work together to ensure your 100 percent satisfaction. Using your blueprints or designing them on your behalf, the team can then program the machine accordingly. Ultimately, the finished part or component comes out exactly how you needed it, whether used as part of your manufacturing process or in conjunction with products that go to end users. Whether you need a prototype of a part or component or have one or several items to replicate in a mass production run, the right company can accommodate. Because the experts follow strict work protocols and use state-of-the-art CNC machines, every product fabricated is precise and to tight tolerances. Another benefit of outsourcing your CNC machining needs is that if a product comes out defective or not in line with your specifications, you have excellent technical support. Although this type of situation is rare, if it does happen, you have the assurance that the problem will be identified and resolved efficiently, professionalism, and quickly. That means that you do not get stuck trying to determine the issue, thereby costing you valuable downtime. Although many companies offer CNC machining services, NexGen Machine is unbeatable. You can learn about all of our available services by visiting our website or calling to speak with a company representative.